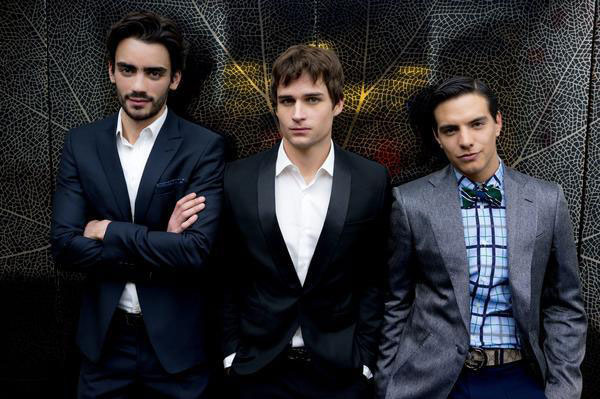 Gossip Girl may be over, but Gossip Girl: Acapulco is just beginning! Yep, Mexican Gossip Girl starts up in July, and it looks great. There are some slight changes to the character names, but it appears that the sulky stares and perfectly mussed hairdos are in full effect. In the back row, from the left, we have Vanessa (now named Vanessa García), Serena (now Sofía López-Haro), Jenny (now Jenny Parra), and Blair (now Bárbara Fuenmayor), and in the front, Dan (Daniel Parra), Nate (Nico de la Vega), and Chuck (now Max Zaga).